We have a new Club Page with ridewithgps.com. This Club Page will allow us to more easily share our favorite routes and give Members TURN BY TURN DIRECTIONS using a free phone app when riding Landshark routes!!. Anyone can access these routes by using the find feature or receiving a direct link to the route, but only members get the turn by turn directions called out while using the smartphone app (compatible with iPhone and Android). Note: If your ridewithgps screen name is not easily recognizable, please message Todd Swartz to help make the connection and approve access. Download the phone app onto your smartphone. Find the route you are looking for and choose ‘Options’ in upper right hand corner for iPhone users and choose Ride This, then Start. For Android Users, choose the navigation symbol, Ride, then Start. Signup! When you get to the page asking which level membership you want, pick Starter (free one). You will be able to access all the routes even if you are not a member, however, you will need to ask to Join before you can access the turn by turn navigation. Note: if you copy the route to your own account, the turn by turn will not work. 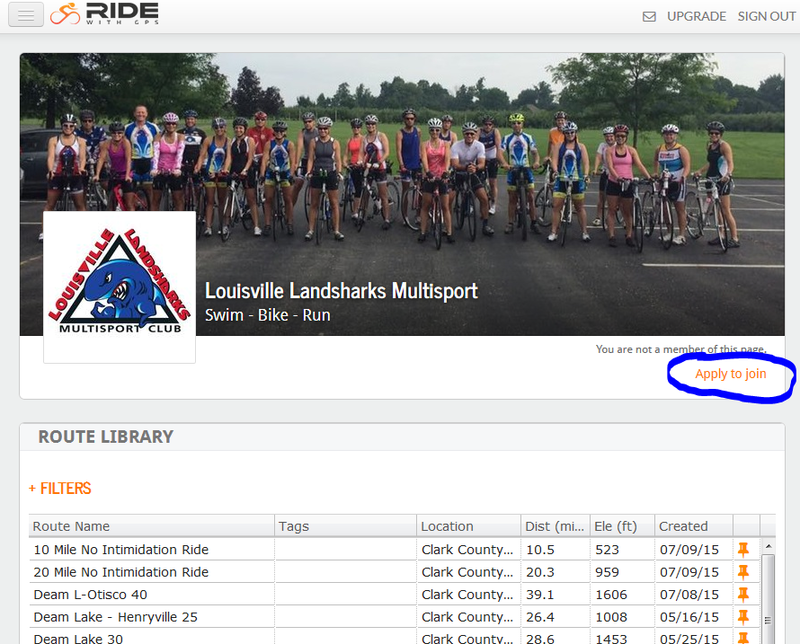 The owner of the route MUST be “Louisville Landshark Multisport” in order to get the premium features. 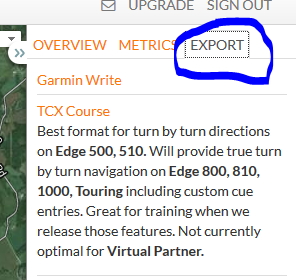 You can export and download the route to your Garmin.